This Avenger ATI travel trailer lets you take part in something amazing each and every time you take it out on an adventure! 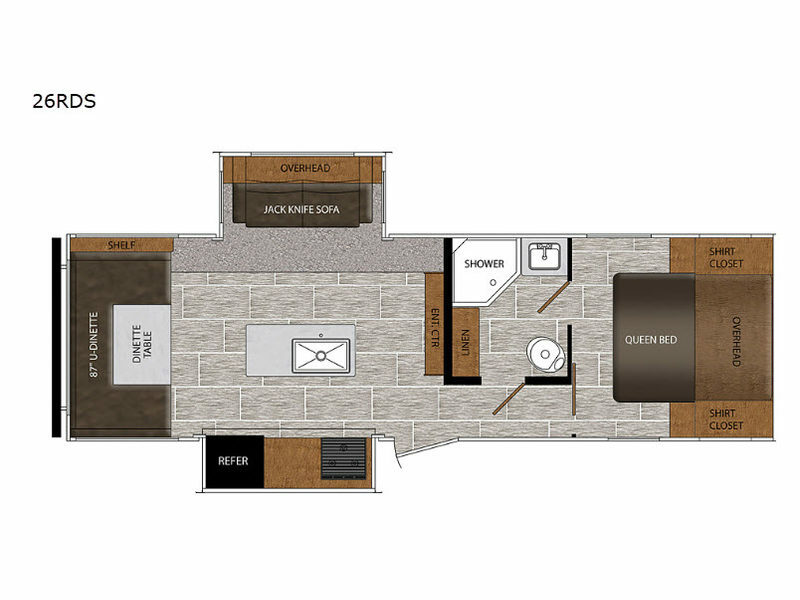 With its jackknife sofa, U-shaped dinette, and queen-size bed in the private master suite, you have plenty of room to sleep six people, and the two slides that have been included in this model are what deliver a spacious and inviting interior. You will also thoroughly enjoy the addition of the kitchen island which will make meal prep and clean up a breeze.